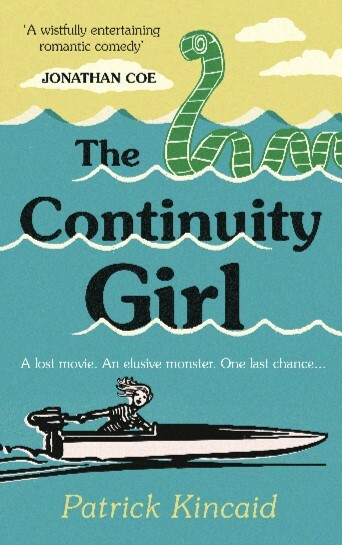 Today's subject is Patrick Kincaid, whose novel The Continuity Girl has just been published. My name is Patrick Kincaid and I am the author of The Continuity Girl, a comic love story set on the banks of Loch Ness in 1969 and 2014. Jonathan Coe calls it a ‘wistfully entertaining romantic comedy’. I was wary of ‘romantic comedy’ while I was writing it – but I like ‘wistfully entertaining’. I think people find that the love story at the centre of the book resonates. Also, if you’re curious about the state of Hollywood in the late sixties, or the search for evidence of the Loch Ness Monster, there’s some detail here you might find intriguing. It’s one of those stories in which people from very different worlds collide. It’s also about outsiders – people who don’t quite fit in anywhere. I think at some level we all feel like one of those. Here, it’s a source of comedy. Amazon and other online retailers and bookshops throughout the country. Soon to be available in German, published by Heyne. I still work as a teacher, a job that only gets more demanding. So it’s sensible to begin a novel in the summer holidays, to try and get a head start. When term begins, I write a very little every weekday – between 6.30am and 7.00am – and for longer at the weekends. Conrad managed 800 words a day - Will Self calls a unit of 800 words a Conrad. I tend to write in Graham Greenes – 500 words a day. The End of the Affair, Lucky Jim, Restoration. They’d have to be big. Joyce’s Ulysses would be one. I’ve got a few translations of Dante’s Divine Comedy, so maybe I’d take the original and a teach yourself medieval Italian book. It’s really old, but you do have to be prepared to kill your darlings. This gets easier the more things you write – it’s tough when you’ve just that one book you’ve been working on for ages. What happens when a chic Hollywood career woman meets a naive British monster hunter, against a Scottish Highlands backdrop and with a 1969 jukebox score. BIg thanks to Patrick for joining in. Hopefully you'll find his novel - available in all good and virtual bookshops alike - of interest! Mne own crowdfunding book - a noir-ish crime thriller set in the flatlands of the east of Lincolnshire - is here: East of England.